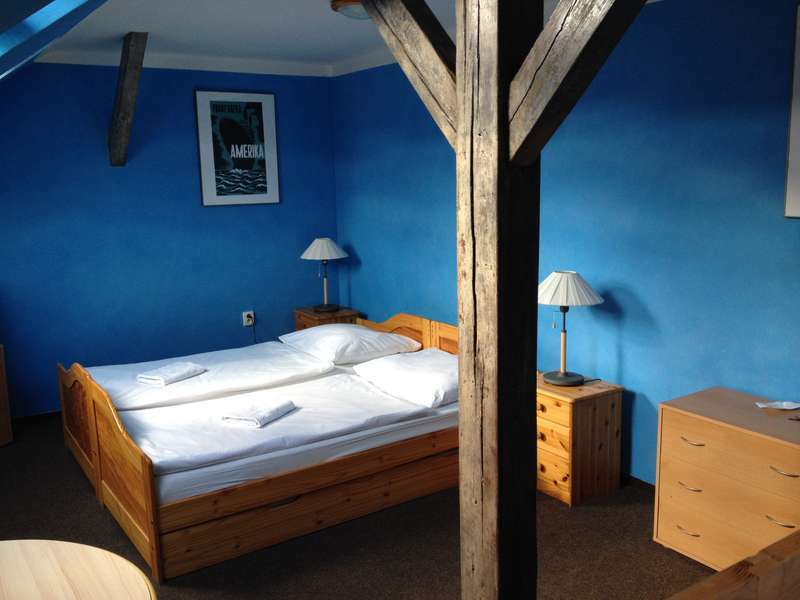 Hostel Franz Kafka is located in the heart of the historical center of Prague , in the street Kaprová Locality where the hostel is a very popular area of most visitors to Prague from abroad, but also from the Czech Republic . Have you ever imagined that you get up and walk a few steps to a romantic breakfast at the Old Town Square ? If not, then at us, you will surely come true. In your vicinity you can find the most popular tourist attractions, shops , boutiques and restaurants, as well as bars and discos . It is worth mentioning the Astronomical Clock and the astrological clock on the Old Town Square, the Jewish cemetery , a renowned Cuban restaurant and bar La Bodeguita Del Medio , as well as renowned party club Karlovy Lazne. 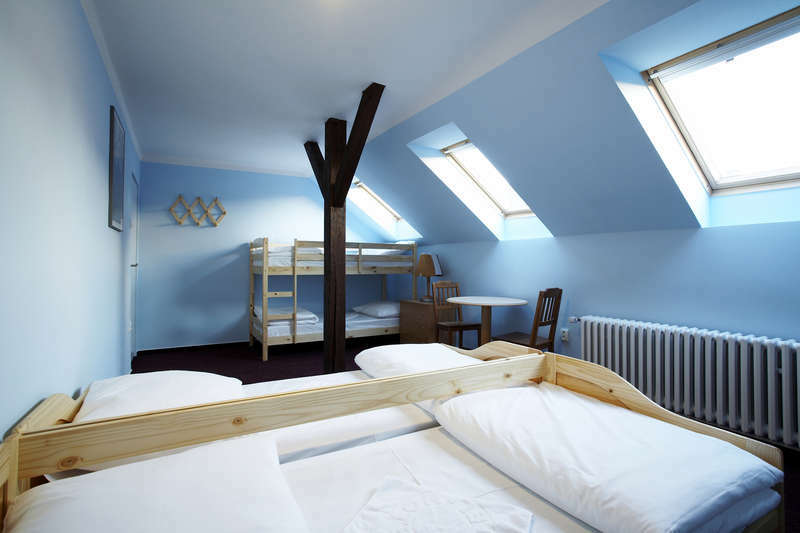 currently hostel has 5 rooms which have all rooms are equipped with hotel bed linen, towels and TV . For the ladies are ready in the bathroom and hairdryer . Rooms are equipped with cabinets and lockers for your maximum comfort. We also offer a variety of excursions and cultural events, according to customer needs . We believe that a stay with us will give you the best feeling of Prague and the maximum time savings already so busy getting to know her . Check in / 2 p.m. - 8 p.m. If you arrive early and room still not ready, you can leave your luggage at the reception , where we look after them . If you arrive later, as at 8 o'clock in the evening, notify the front desk and we'll wait for you, of course. Check out / 11 a.m.
Baggage course, you can leave your desk and pick up by appointment with the receptionist . Reception is open 9:30a.m. to 8:00 p.m. every day . If your arriving late , please contact us and inform us of your arrival time and we will of course wait ! Upon arrival you will receive the keys to the entrance to the main building and rooms , so you get to the hostel without any time restrictions. 24h reception will be operational in the summer season .